Spirit Of Asia : Mrauk-U, The Last Capital of Arakan Kingdom, One of the Richest Archaeological Sites in Asia. Spirit of Asia will take you turn the pages of history . The former capital of the Kingdom of Rakhine/ Rakhaing/ Arakan Kingdom . Start with the primary cereal empire city Dhanyawaddy. 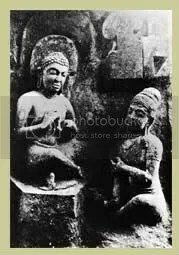 The origin of the source for Mahamuni Buddha Image . Buddhist sculpture as a precious gem of Southeast Asia . Then other city is Vaishali period. Another Kingdom Territorial Rakhine And culminating with the Mrauk U . City of Through the ancient world to remember. Mrauk U (Mruak U) , the former capital of the ancient kingdom of Rakhine . Built in the early 1973 to the fall of Burma in the year 2378 for more than 354 years in this glorious civilization in the past. • The City of Takoma Mrauk U . Also filled with more than 140 ancient temples such as Wat Phaya all candles Khan City Vuitton Paya ( temple eighty ) measured at Dawes Rd. ( Temple of the Tooth Relic ) Temple ninety (GLOBE Tong serpent ) and various indigenous villages .